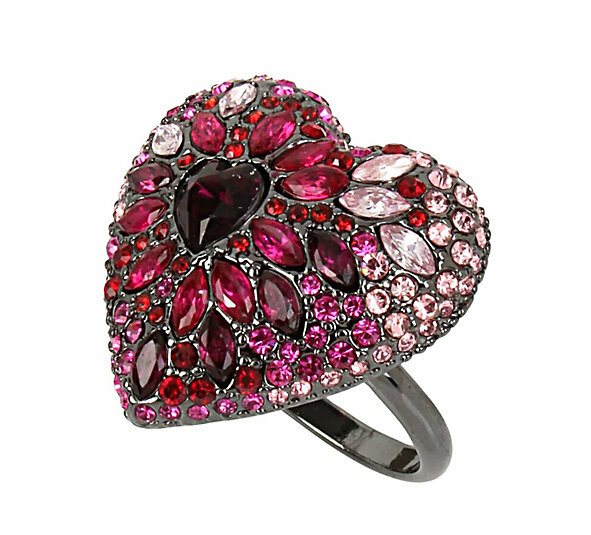 Add a bold touch of fun to your look with this striking heart ring. 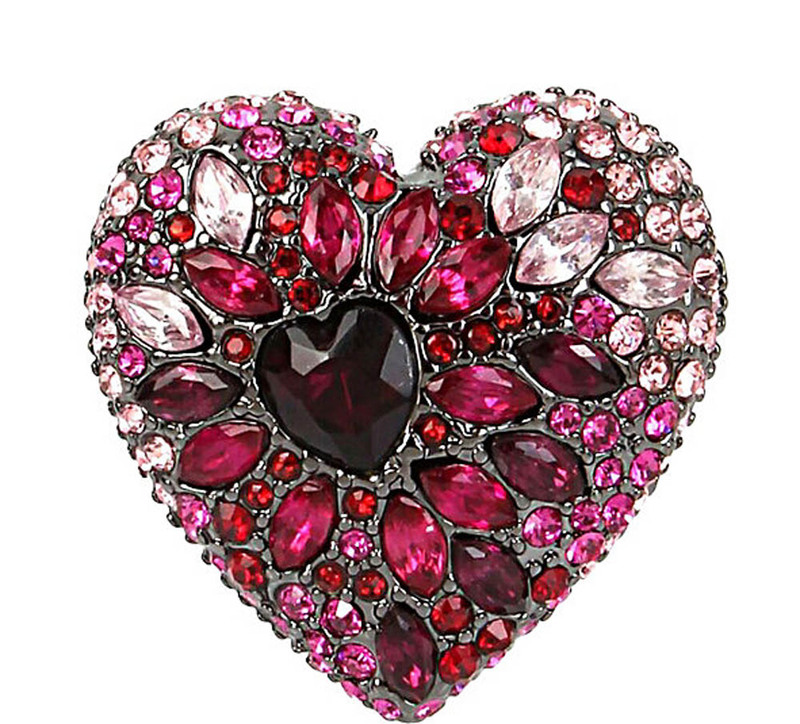 Its oversized heart pendant features a variety of crystals and stones for a delightful look. Hematite tone heart with mixed pink tonal colored pave crystal and faceted stone accents Slip-on Hematite tone plating Metal/glass Length: 0.9" Width: 0.9" Ring shank width: 2mm Diameter: 0.9"